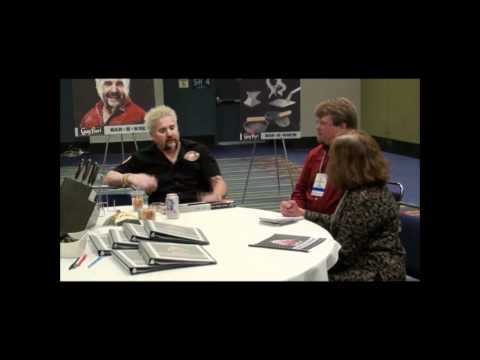 I have been blogging for months about these incredible Guy Fieri Knuckle sandwich, panino Series Knives and bragging about meeting Guy at the 2010 International home Housewares Show. Guy teamed up with Ergo Chef to create a brand of knives that would exceed his high expectations and include “a rockin’ design”. The Knuckle sandwich, panino brand has received a lot of Press & Praise recently. Seems like everyone is diggin’ these excellent knives. Win a Big Stck Chef Knife, Dragon Dagger Utility Knife, o a Kewl Tshirt! an article è stato aggiunto: Casting Call- cucina Makeover mostra on Major TV Network!